MEXICO CITY, MEXICO—After a summit that convened the leadership of North America’s three leading plastics industry trade groups—Plastics Industry Association (PLASTICS), Canadian Plastics Industry Association (CPIA) and Asociación Nacional de Industrias del Plástico A.C. (ANIPAC)—the North American plastics industry outlined a unified platform of policy priorities for the forthcoming modernization of the North American Free Trade Agreement (NAFTA) that will strengthen each nation’s plastics industry. Continued support of the growth and development of the North American plastics industry. Since NAFTA took effect, its member nations’ plastics industries have grown immensely. Broadly, each organization supports efforts to promote this growth. Harmonization of regulations of all types as they affect the industry. For example, aligning regulations on food packaging that are different would make it easier for smaller companies to expand their business across borders without having to worry about a new compliance burden. Another example would be a continent-wide harmonization of the treatment of plastics as sustainable materials, for the purposes of government procurement and other areas. Adjusting NAFTA to facilitate enhanced sustainability efforts throughout the industry in North America is a key goal for all three nations. A review of the Rules of Origin (ROO). We endorse a review of the Rules of Origin and their enforcement under NAFTA as they impact everything from raw plastic materials all the way through finished products containing plastic. A simplification and modernization of trade and customs documentation. As policymakers enacted NAFTA before the age of digital commerce, its lack of provisions pertaining to digital commerce are a perennial weakness in the agreement as it currently stands. The ability to access and file customs documentation and other paperwork necessary to conduct legal trade between the three nations should be modernized to provide for digital or online transmission. Ease of employee access throughout the continent. Employees of plastics companies, particularly those that sell and service manufacturing machinery, should be more able to travel and work throughout the NAFTA member nations. Certain requirements make it costly for businesses to send employees to other countries to provide their services, and these should be adjusted or eliminated. ​​​​​​​The absence of tariffs is what’s made NAFTA so successful for all three member nations’ plastics industries over the last 25 years. The North American plastics industry is united in its opposition to any new tariffs that would have a profoundly negative impact on all three nations and their workers. Continued labor cost flexibility between the three nations. ​​​​​​​​​The diversity of labor costs in North America provides immense benefits to our industries, and allows each of them to be competitive globally and to play to the strengths of each individual country’s plastics industry. We would oppose attempts to restrict the choices manufacturers have when it comes to where and how they make their products. PLASTICS, CPIA and ANIPAC will continue to work together throughout the NAFTA renegotiation process. Since 1943, the Canadian Plastics Industry Association has proudly served as the national voice and leader for plastics industry sustainability across Canada, representing the interests of the plastics value chain including resin and raw material suppliers, processors/converters, equipment suppliers, recyclers and brand owners. 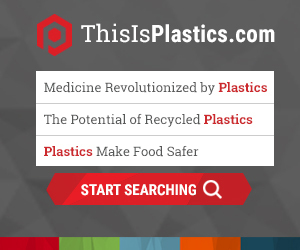 Visit www.plastics.ca for more information.